There are some really great Chile farmland deals around at the moment and I also have a couple of fantastic opportunities in Valparaiso. Feel free to contact me for more info. 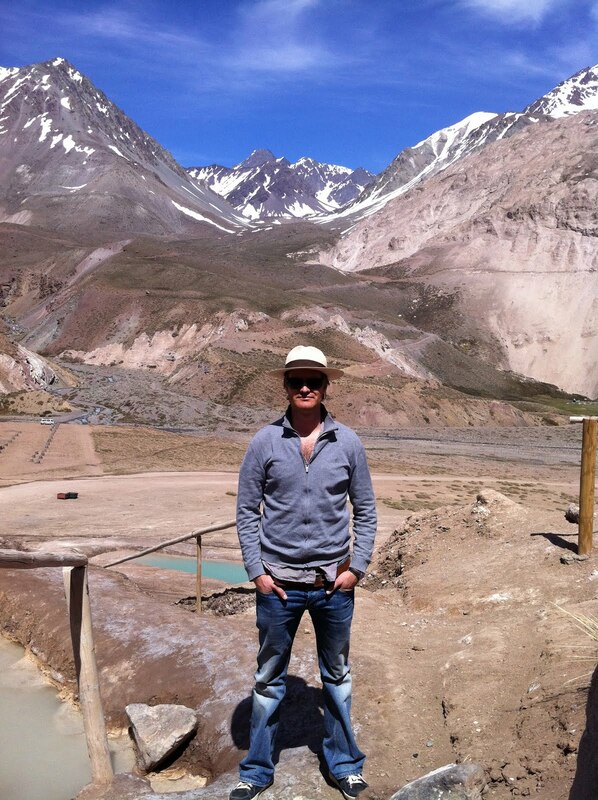 In other news, I've been pretty busy recently- lots of travelling around Chile, to Spain and to England & lots of work. Well, it's been a while since I posted...and I'm so busy at the moment with travelling (I'm getting married and my fiancee is from Barcelona! ), work, renovations and construction for myself and for clients that I think it'll be a while before I post again. So this blog is on hiatus until I have more time. I will try to post some photos of my new house in Colchagua soon, though. As ever, if you're interested in real estate in Chile, please do get in touch by clicking on the Chile Investments logo on the right hand side of the page. Christmas and new year were pretty hectic- the usual eating and drinking too much. It's been a while since I've done any real exercise and I've really missed it. 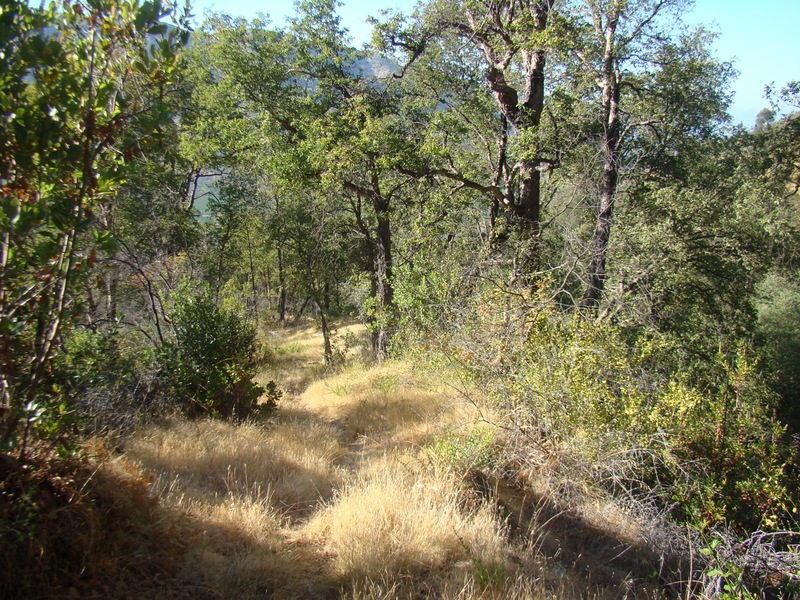 I used to go to the gym pretty much every day and go on fairly regular hikes. There's a gym in Santa Cruz which I joined for a few months but it has really strange opening hours- I don't have much of a schedule as I work for myself, but even I found it hard to work around the gym's times. So I've been wondering what I could do to get healthy again. In England, you can walk anywhere in the countryside- farmers have to provide paths, gates and stiles for the public to get around. Unfortunately, no such system exists in Chile so if you want to roam the countryside, you need to know who owns it. So I called a friend, who happens to be the managing director and a member of the family that owns Vina Neyen. Neyen is based in Apalta, where Chile's best red wines come from (Lapostolle is there, so is Montes). The winery makes just one, ultra-premium wine (retailing at about $50.000 pesos in Chile and around US$60-70 in the US), which is, to say the least, pretty drinkable. 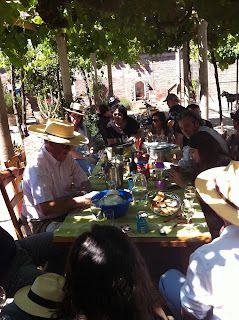 They have around 140 hectares of vines planted at the far end of Apalta- it's an amazingly beautiful spot. 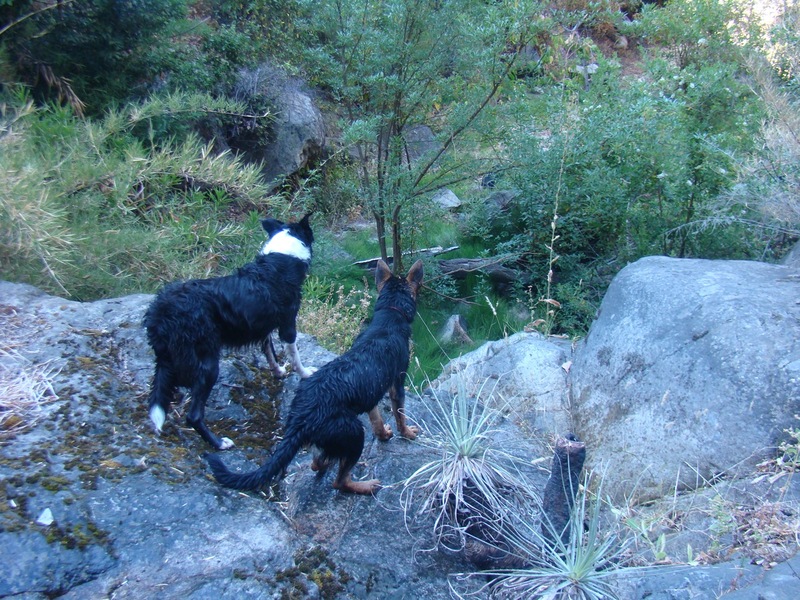 On top of the vines, they also have around 900 hectares of hillside, covered in native forest with...hiking trails. 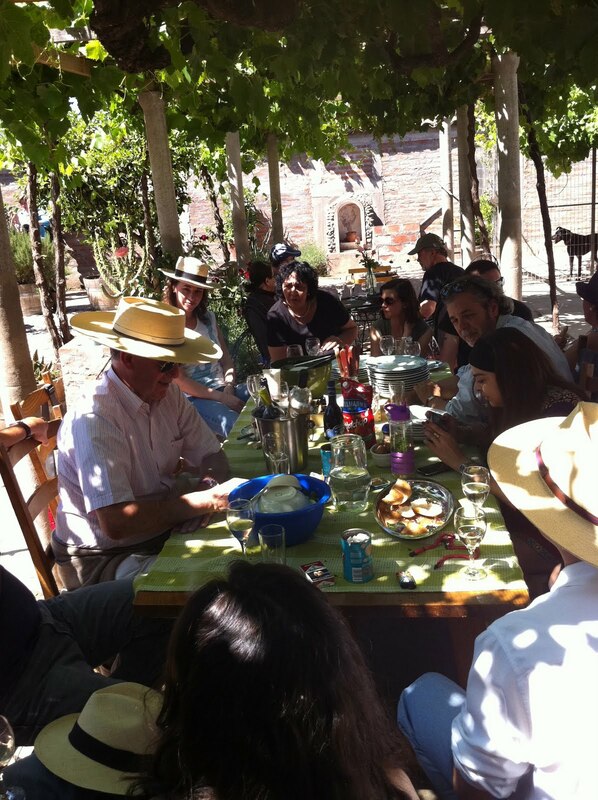 If you're a tourist in the area, you can do wine tasting followed by either hiking or horse trekking into the hills. 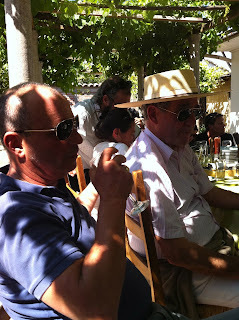 I can highly recommend the paid tour- you get to taste a fantastic wine and the hiking is really fun. Fortunately, I don't have to pay to go hiking and I will be going at least twice a week in a bid to get fit for a whole day trek up Cerro Provincia in Santiago before Winter sets in. I did a half hour climb today (and a 15 minute run back down) and will be increasing that further over the next few weeks. 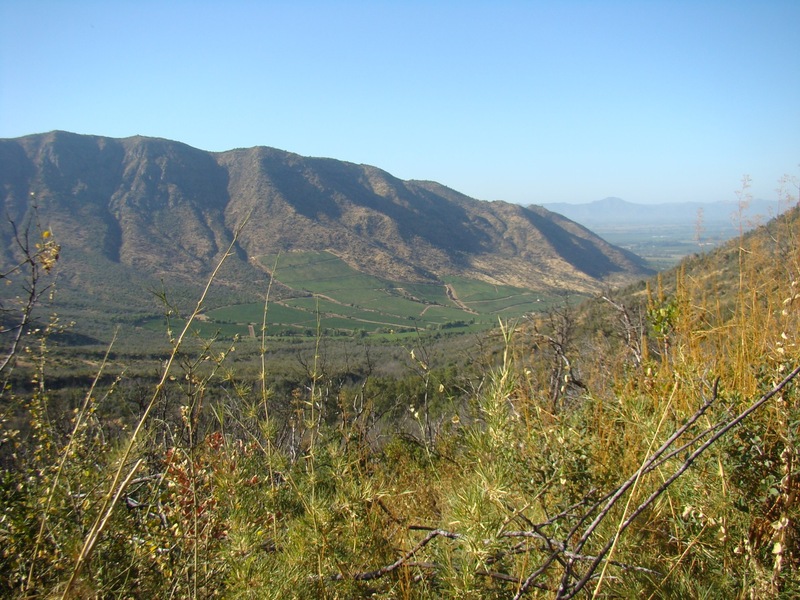 I think the trail goes to the very top of the hill, which borders this beautiful vineyard for sale in the Colchagua Valley. I aim to get up there soon. View of the vineyard at the start of the trail. This little pond has been carved out of the rocks by thousands of years of Winter rains and a small spring from the hillside. 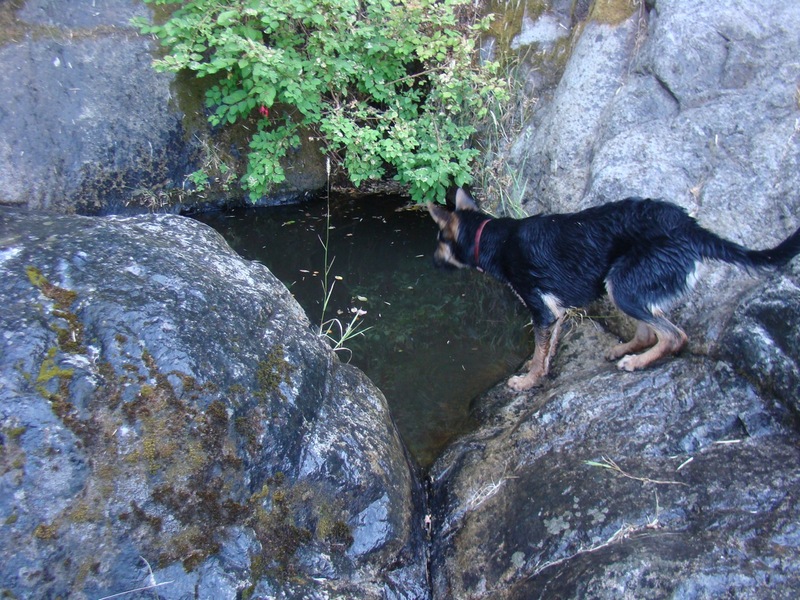 Amy's about to jump in here. 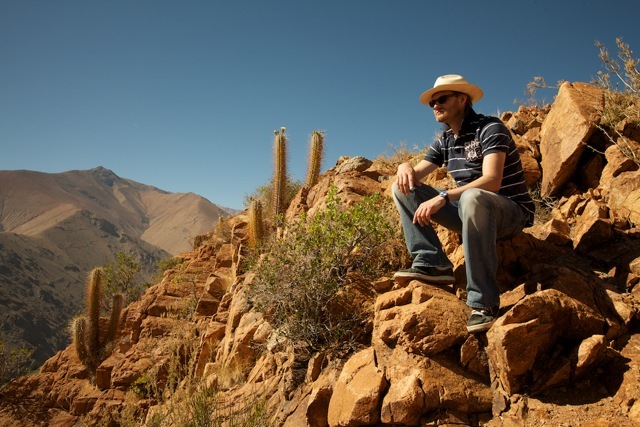 Wine Enthusiast, one of the wine world's most important publications just named the Colchagua Valley as one of the top ten wine travel destinations for 2012. Seeing as I live and work here and helped out with some of the tips for the article, I'd have to agree..! Here's the article. January is looking promising for me in terms of work with a couple of big clients coming down to look at real estate in Colchagua. 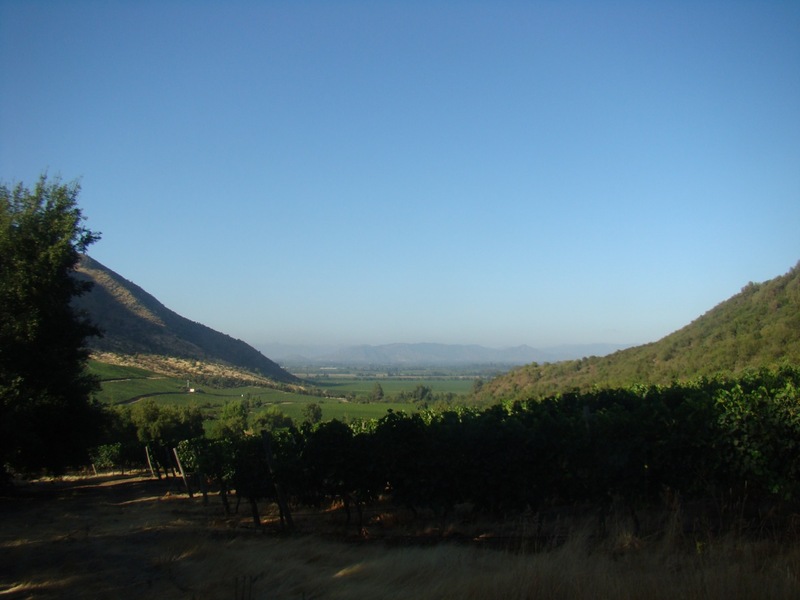 Plus I have visitors staying in the apartment I have in my house- it's here on VRBO if you're looking for self-catering accommodation in the Colchagua Valley. And on top of that, I've got the continued construction of my house here in the valley, I'm finishing off renovations in my apartment in Santiago and potentially have another renovation project in Santiago for a client who is buying an amazing apartment in Bellas Artes. I think this is the busiest I've been in years. Which is good, of course. But it's also a little stressful. 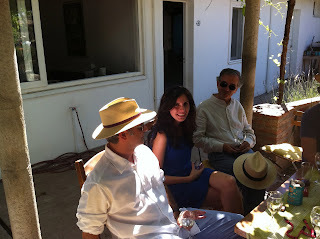 At least I had a relaxing Christmas and new year to prepare me for it, spent with friends in Santa Cruz and Valparaiso. Hope everyone else had a lovely Christmas break. I bought 5 almost full grown blueberry bushes a couple of months ago and planted them at the new house. They were all flowering when I got them and those flowers slowly turned into little berries, which have just ripened. So I had my first fruit harvest a couple of months before the house is even finished. I have to say that blueberry picking has to be one of the world's worst jobs...so time consuming. But I got about 2 kilos of berries from them and next year I'd expect to at least double that. And the construction is moving along quickly as well. The rafters are almost in place (in the photos, they look a bit strange- they'll be extended out as an external corridor and the roof will look normal). The exterior is being cement plastered at the moment and the electrician is currently putting in all the tubing so we can plaster inside as well. And I'll have the drinking water connected in a week as well so we can then start with the plumbing work. I have a bet with a friend that I'll be moved in by February 15th. It'll cost me a very expensive bottle of wine from Neyen (unless I can get a discount...I know the winery's CEO) if I lose...But I'm fairly confident. Travels, Asados & More Travels. Oh, And Construction, Too. -Caro came to visit for a few days. 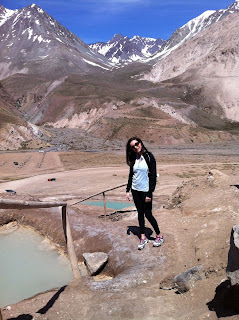 I picked her up from the airport first thing in the morning and we immediately drove up to Cajon de Maipo. I've never been before and always wanted to. It's beautiful up there...the drive takes you high up into the mountains and we ended up at the Termas de Colina. They're probably just about worth the $6 mil entrance fee, especially if you take a picnic and make a half day of it (we didn't). You need to go as early as possible- we got there at 10am on a Thursday. When we left at midday, it was starting to get busy. Weekends must be a nightmare. It's a beautiful drive up. 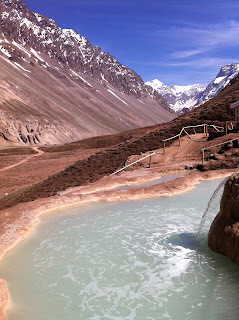 The thermal waters, when empty of people, are really quite nice. 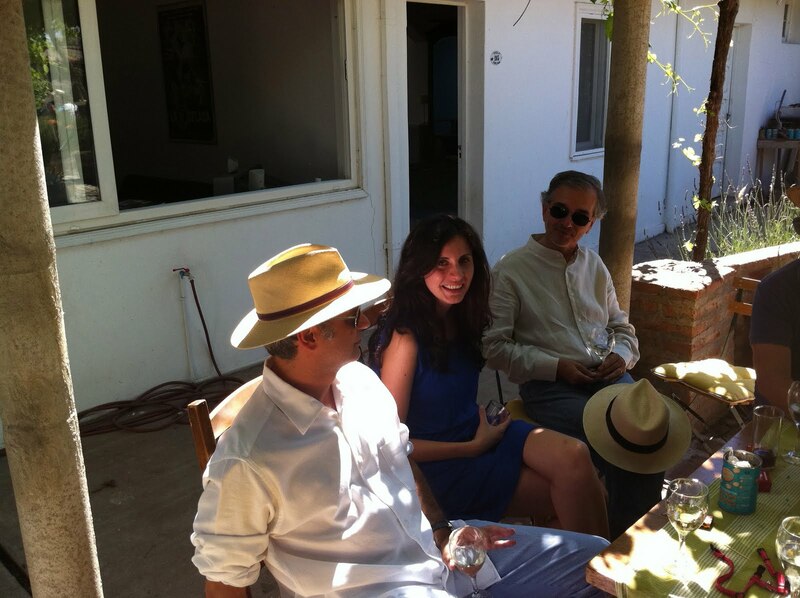 On the Saturday, we had an asado at my house, the first of the season. As usual, a load more people turned up than invited, but as I know this always happens, we were well prepared with a 4kg hunk of Uruguayan fillet steak. So good. It was a really fun trip. On the first day, we spotted an open gate leading up into a vineyard. Now, to me, an open gate is an invitation in so we drove up...and up...and kept on heading up until we reached the very top of the mountain. 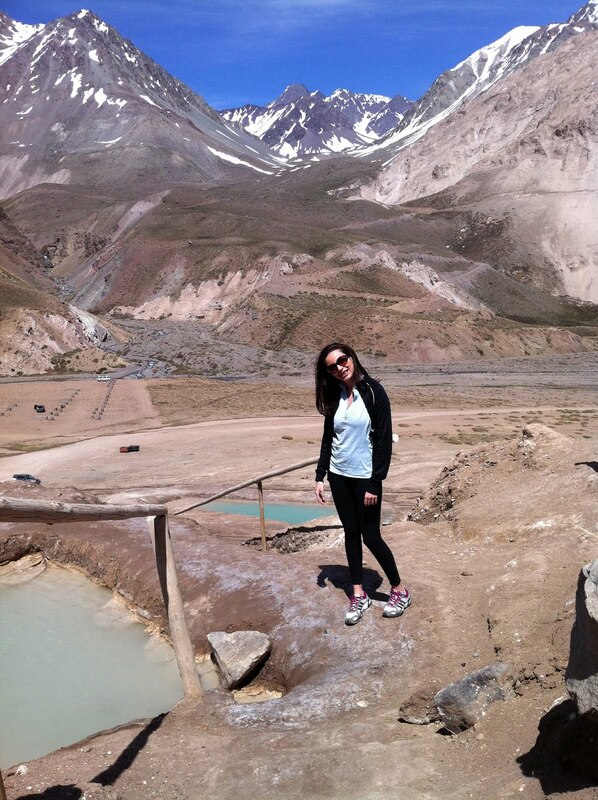 The views of the valley were incredible and I found my dream Elqui home. Unfortunately, it's in the middle of a privately owned vineyard so no chance of getting my hands on it. But it's a falling down adobe house (just my kind of thing) with the most amazing views. On the last night, we drove up to the hippy community of Cochiguaz. I'd heard there was a big, sacred rock up there covered in petroglyphs. Apparently, it's the magnetic centre of the southern hemisphere and has the exact opposite co-ordinates as the magnetic centre of the northern hemisphere, in Tibet. I don't really believe much of this but the rock itself was pretty cool. And it was even cooler when the sun went down and it was lit only by the light of the 99% full moon. I have to say it was kind of humbling being there in the middle of the night knowing that hundreds of years before, both the Incas and Diaguitas saw this rock as an important part of their culture. The sacred rock up in Cochiguaz. 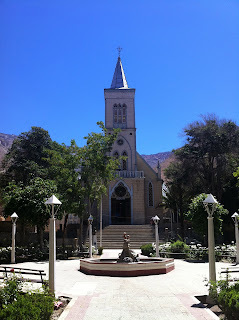 The lovely church in Pisco Elqui. River shots by a professional. 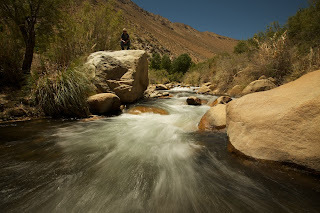 For more images like this, check out Matt's Elqui blog. And don't use his pictures without permission, or you'll get sued. 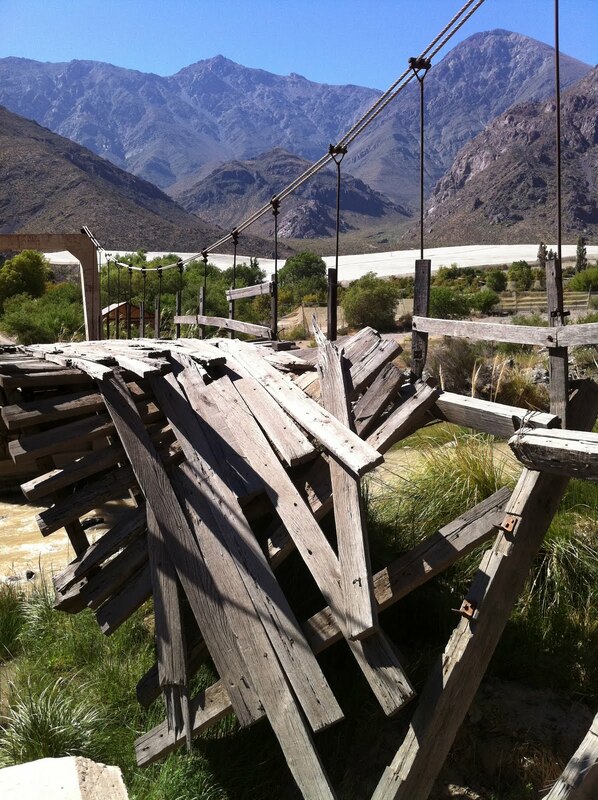 Crumbling old bridge. The one built to replace it, 20 metres down the road, is not in much better condition, to be honest. 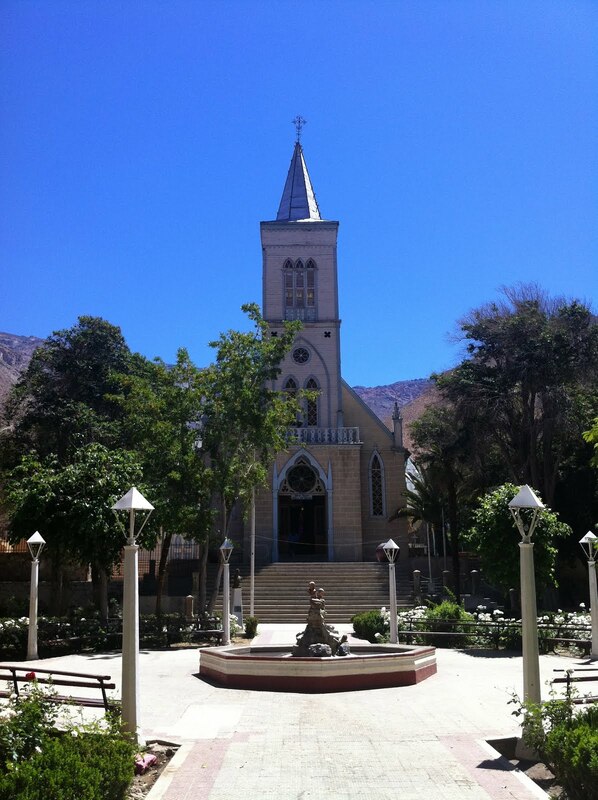 Dream Elqui house...the views are just amazing. Here it is from higher up. Looking down on Montegrande from the top of the mountain. And here's a video of the drive back down (with references to The Fast Show and Lock, Stock & Two Smoking Barrels). 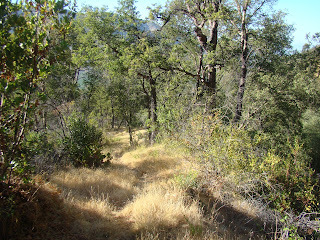 It was a pretty narrow track with sheer drops to the side. Very fun. A cloudy sunset looking up the valley. Last rays of sunshine on the mountains, taken from the cabaña. On the way back down from the valley towards La Serena you have to go past the huge reservoir, Embalse Puclaro. 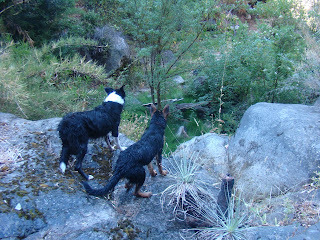 The water level is worrying low as we've had 3 or 4 extremely dry Winters. This old vineyard used to be completely underwater. It's an incredibly eerie place and the dead vines reminded me of Day of the Triffids.